On Friday, February 9, 2018 at FiveMyles Gallery, HCX held an Ann Pale | Café Conversation featuring 2017 Lakou NOU Artists in Residence Diane Exavier, Glenda Lezeau, and Jasmine Plantin. The evening featured a performance by Diane Exavier herself, reading a reflective essay on her project, and a discussion moderated by Véronëque Ignace, Programs Coordinator and former Lakou NOU 2016 artist resident. The Lakou NOU program, now in its third cycle, is a true example of what it means to provide solid opportunities for artists to engage with communities – often times their own – in such a way that embodies reciprocity. Artists learn how to create art, platform issues, and work toward impacting change. Community residents participate in the building of that work, getting exposed to high quality art built with and for them. Often times, the relationships built are durational where artists continue the work they’ve created or expect to be still developing in their Lakou. Jumping right into it, would you each say your name, who you are as an artist, and what your Lakou NOU 2017 project was? During the conversation, 2017 Lakou NOU artists answered critical questions about what exactly it means to be an artist in this current sociopolitical moment; how their Lakou NOU 2017 project fit within the broader context of what Brooklyn communities are facing in general and with regards to what Haitian people living in the diaspora are facing; and what the artists have been moved to do since the Lakou NOU residency period. Following this, Lakou NOU 2018 residents – Madjeen Isaac, Richard Louissaint, Stefani Saintonge, and Sirene Dantor Sainvil – were announced and able to provide short presentations of their work. Isaac featured a slideshow of some her defining paintings. 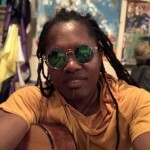 Louissaint screened a video he created to summarize the work of Lakou NOU thus far; it can be found at the bottom of this post. Saintonge showed her short film Seventh Grade. Sainvil performed a short musical set accompanied by drummer Jean Guy Rene. Read about the new cohort here. The evening was specially catered by Idanoise Joseph, from Ida J. & Co and photos were taken by Claire Judine Saintil. View them here. Lakou NOU (“Our Yard” in Haitian Creole), now in its third year, is a creative adaption of the traditional rural Haitian communal living system embedded in reciprocal patterns of resource sharing and the intersection of land, family and spirituality. This year, artists will engage in a new curated professional development series which will introduce them to the foundations of social practice, build their skills in artistically-based qualitative research methods, and help develop tools for implementation and evaluation. Each session in the series will be taught by practicing creative change-makers in varying arts and scholarly disciplines. 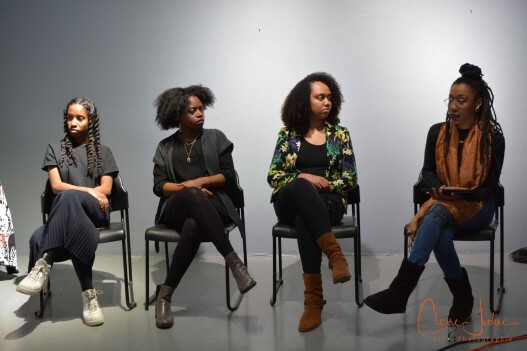 Marking the launch of this series is the Atis Angaje panel discussion which features 3 Haitian and Haitian American artists who discuss their experience building their artistic practice and engaging with social justice and socially engaged work. Monvelyno Alexis, musician, was exposed early to the “rasin” movement while growing up in the vicinity of Carrefour Feuilles, Haiti. He had the opportunity to learn from the founding members of “Groupe Ca” (known as Foula in the late eighties), a musical combo with a revolutionary concept, consisting of creating a music that would preserve the authenticity of the African legacy in the Haitian musical heritage. Lesly Marcelin, alias Samba Zao, one of the most innovative musicians of this movement, guided the young musician and helped him understand the language of the drum as it relates to the percussive nature of the guitar. Monvelyno started playing the guitar at the age of 18, giving up the wind instruments (flute, clarinet and trumpet) of his high school years; the same instruments that nurtured his passion for music, especially the Gospel genre that brought awareness of his talents as a singer. By his early twenties, he matured into a skilled guitar player. His passion moved his work forward, in search of an original musical language. His journeys took him to the temples of the African musical legacy. Soukri, Badjo, Souvnans unlocked hidden potentials and opened new avenues. The idea of Kod ak Po (Strings & Skins) originated from conversations with vodou clerics and deep studies of their rituals and spiritual songs. It will take, however, a few years to shape these ideas into what the listener will discover today as a major step in shaping and defining the contour of an original rendition of Haitian music. Jessica St. Vil is a graduate of Lehman College, where she received her B.A. in Mass Communications and Dance. She continued her training with a partial scholarship from the Alvin Ailey School’s professional division. 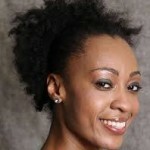 Jessica teaches classes and gives workshops in Ballet, Modern, and Afro-Caribbean dance. Some of her teaching credits include: Pratt Institute, the NAACP, and the Dance New England Foundation in Maine. She currently works as a teaching artist for the Alvin Ailey arts in education program. Jessica is also one of the co-founders of “Danse Xpressions”center for the performing arts. She has worked with many choreographers such as Christopher Huggins, Martial Roumain, Marcea Daiter, Sean Curran, Kayoko Sakoh, Kwame Ross, and Dyane Harvey. She has worked and performed with several dance theater companies, such as Feet of Rhythm, The Joan Peter’s Dance Company, Vissi Dance Theater, Tamboula D’ayiti, Opus Dance Theater, the Rod Rodgers dance company, and National Ballet Folkloric of Haiti(BFH). Jessica worked in collaboration with Unimix films; choreographing a short film titled “One More Try” and their newest award winning feature film “Forever Yours”. She was honored in Washington DC by the National Museum of Women and the Haitian Embassy for her accomplishments in dance and for her continued dedication to Haitian art and culture. In addition to being a teaching artist with the Ailey school, Jessica worked as a guest choreographer this past Spring at both “Brooklyn Friends School” and “Educational Center for the Arts” in North Haven Connecticut teaching choreography about social justice through dance. Most recently she worked in collaboration with playwright and musician “Jean-Claude Eugene” choreographing his latest work “Zatrap” Haititrauma. Jessica is extremely grateful for all opportunities she has been given and aspires to continue to enrich her life and the lives of others through the arts. Michèle Voltaire Marcelin Multifaceted artist Michèle Voltaire Marcelin is a performer, poet, writer, and painter who has lived in Haiti, Chile and the United States. While some artists are born, ready to spread their magic when the muse touches them, others are shaped through life experiences; Voltaire Marcelin has re-assembled elements of her life and shaped them into various artistic expressions. Her books of poetry and prose are published in English, French, Spanish and Creole. Her work is also included in diverse anthologies published in France, Cuba, Canada and the United States. She is featured in the films of directors Patricia Benoît, Raoul Peck and Patrick Ulysse. Her artwork has been exhibited at the MoCADA, the African-American Museum of L.I., Kenkeleba Gallery, The Cork Gallery at Lincoln Center and the Mupanah in Haiti. 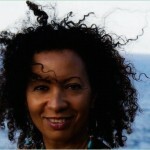 She has performed her poetry solo, and with jazz bands in New York, Miami, Montréal, Paris, Port-au-Prince, and Costa Rica. This Haitian born artist writes in 3 languages and currently lives in New York. More information about Michèle can be found on her website. Diane Exavier (East Flatbush) used her Lakou NOU residency to develop her original play Good Blood. With “Each Body is a Miracle,” Exavier delved deeper into some of the play’s issues and themes of immigration, partnership/intimacy, and health through social practice. Diane Exavier creates performance events, public programs, and games that challenge viewers to participate in the active realization of a theater that rejects passive reception. She is also an arts educator with a pedagogy that focuses on creating reflective spaces for young people. Her work has been presented at Westmont College, California State University: Northridge, New Urban Arts (Providence), West Chicago City Museum, and in New York: Bowery Poetry Club, Dixon Place, Independent Curators International, Medialia Gallery, and more. Her most recent play Good Blood was workshopped in residency with the Flea Theater. Her writing appears in Cunjuh Magazine, Daughter Literary Magazine, The Atlas Review, and The Racial Imaginary: Writers on Race in the Life of the Mind. Announcing the Lakou NOU 2018 Cohort! Lakou NOU (“Our Yard” in Haitian Creole), now in its third year, is a creative adaption of the traditional rural Haitian communal living system embedded in reciprocal patterns of resource sharing and the intersection of land, family and spirituality. 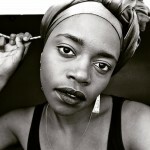 The program provides four artists of Haitian descent with the opportunity to create and present new work while connecting their skills and talents to four traditionally underserved Brooklyn neighborhoods, home to generations of Haitians and Haitian-Americans: Crown Heights, Canarsie, East Flatbush, and Flatbush. Haiti Cultural Exchange (HCX) is excited to announce the 2018 cohort – Madjeen Isaac (Flatbush), Richard Louissaint (East Flatbush), Stefani Saintonge (Crown Heights), and Sirene Dantor Sainvil (Canarsie). Madjeen Isaac specializes in oil painting and creates art based on her Haitian American culture. Her creations celebrate individual existence and differences while showing patronage to the Haitian culture. Richard Louissaint is an award-winning writer, filmmaker, and photographer from New York City whose projects focus on underrepresented communities, highlighting the humanity of his subjects and their ability to persevere, find joy, invent, and thrive against the odds. Stefani Saintonge is a filmmaker and educator whose work focuses on women, youth and immigration. A member of New Negress Film Society, she is a recipient of the Jerome Foundation Film and Video Grant, and holds an MFA in Documentary Film Studies and Production. Her films have screened at numerous festivals in the United States and internationally. Sirene Dantor Sainvil is a Haitian culture preservationist who used her passions to develop Fanmi Asòtò, a Haitian cultural organization whose drum performance, community workshops, and herbal teachings are rooted in Haitian Vodou. Sainvil seeks to encourage identity building for all Haitians but particularly for Haitian American youth. These artists will work to form partnerships with community centers, small businesses, community gardens, local cultural institutions, and former Lakou NOU residents. Each artist will receive a stipend of $7,000, a platform to showcase their work to varied audiences, and the opportunity to become more acquainted with social issues affecting Brooklyn communities. Artists will engage in a new curated professional development series which will introduce them to the foundations of social practice, build their skills in artistically-based qualitative research methods, and help develop tools for implementation and evaluation. Each session in the series will be taught by practicing creative change-makers in varying arts and scholarly disciplines. 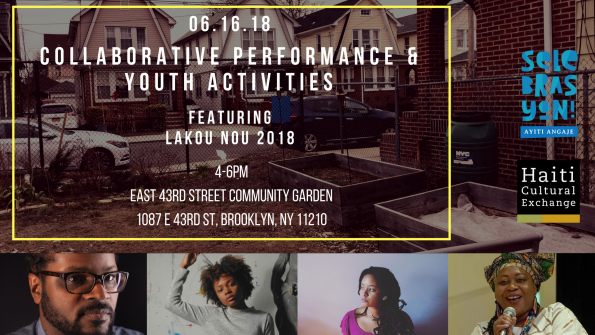 We thank the Ford Foundation, New York State Council on the Arts (NYSCA), and the Department of Cultural Affairs (DCA), in partnership with City Council Member Jumaane Williams for their support of Lakou NOU. For more information, visit haiticulturalx.org/lakounou.